Jason Hartman starts off the show discussing the changing economy and how economic prosperity isn’t usually good for human character. Too many people start taking advantage of being able to make the easy sell and stop playing the long game, only focusing on the short game. He also explores the impact golf courses are having to property values as many are shut down across the country due to lack of interest. 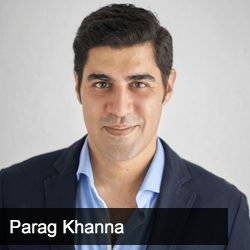 Then Jason talks with Parag Khanna, author of The Future is Asian and founder of FutureMap, about what’s really going on in regards to the trade war and its impact on Asia (which doesn’t just mean China). The two discuss the role of technology in killing jobs around the world and Asia’s impact on global consumption growth.